டோலிவுட்டின் முதல் குடும்பம் என்று அழைக்கப்படும் இந்த குடும்பம், மகேஷ் பாபு மற்றும் அவரது மனைவி நாம்ரதாவின் பெற்றோர் பாணியில் ஒவ்வொரு குடும்பத்திற்கும் முக்கியமான வாழ்க்கை பாடங்கள் உள்ளன. When the famous Telugu actor Mahesh Babu married Bollywood actress Amrita Shirodor, her feminist fans were very disappointed. After 11 years, the love and simplicity of this couple is the subject of many. 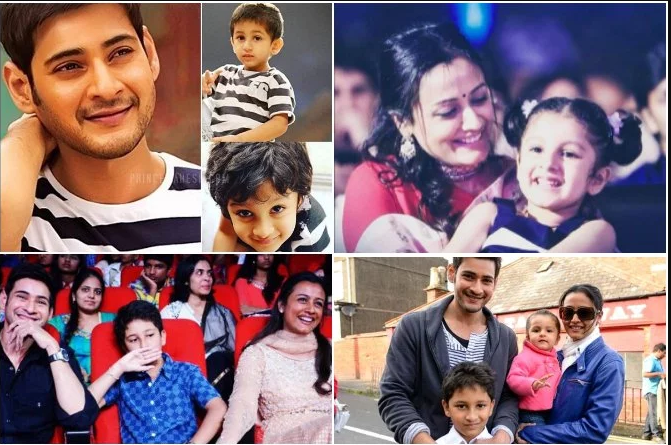 Mahesh Babu is a family man. He will spend time on his family from his busy schedule.Mrata also gave up his Bollywood dream to take care of the family. Mahesh Babu has repeatedly pointed out that the reason behind the success of his success is the factor. Mahesh Babu said in an interview: "Manorama is an honest lady who will do whatever she thinks in her mind. Brahmotsavam diaries..pune shoot .. Met up with family ... Fun times !! Read the next page to see why we love the parenting style of parents of Maahesh and Mahesh Babu! "When money, prominence and fame are comparable to family, everything will be dimmed." His life is moving around with his children, "he said. http://www.ritzmagazine.in/2016/03/strength-of-a-woman-namrata-shirodkar/ the whole interview ???? Launch of birthright .a facility for mothers from inception right until childbirth ??????? ?rainbow hospitals always a step ahead ???????????? Fun n games at Plabo ??????? ?the best kids place finally arrives here ??????? ?